Setup is done directly from your mobile device. Android users without access to Google Play can download version 2.3.9 here. The apps follow the same setup flow. For the purposes of this walkthrough, the images below show the iOS app. 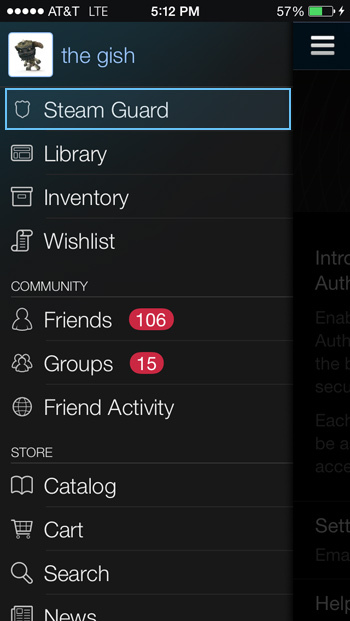 Once you've installed the app and signed in with your Steam account credentials, tap the menu icon at the top left to expose the app's main menu. Select "Steam Guard" from the top of the menu. From here you can select "Add Authenticator" to setup your authenticator, or "Help" to learn more. Next you'll enter a phone number, one that we can confirm with a text message. 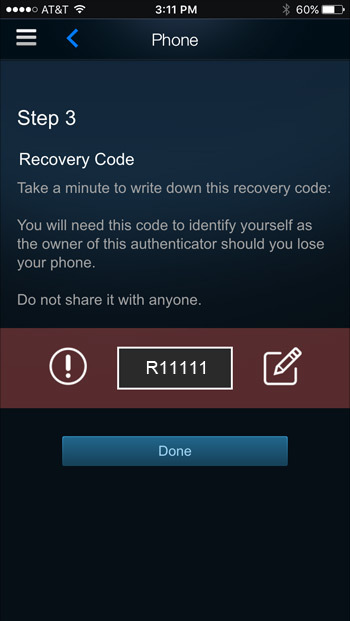 If you ever lose access to your Steam account, you can quickly recover it by asking Steam to send a text to this phone number. Enter your phone number. Add the international prefix from the drop down. 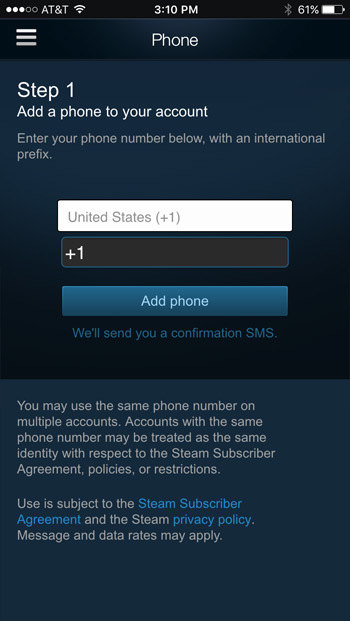 Steam will send a confirmation code to your phone. Enter the code we've sent to that phone number. 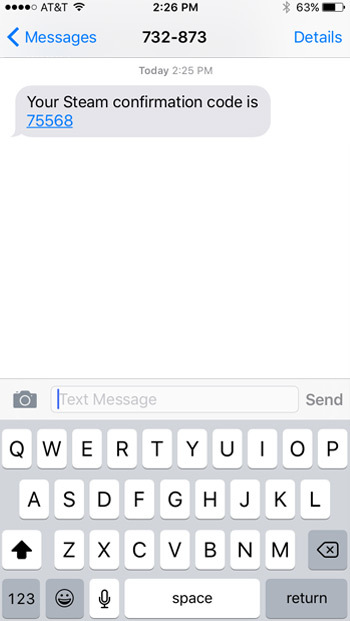 If you didn't receive the text, you resend it using the link at the bottom of the screen. Note: Depending on your carrier, messages can be temporarily delayed. 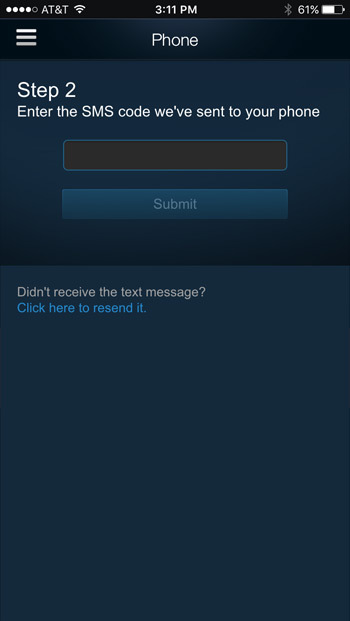 If you don't receive the text after a few hours, please contact Steam Support for additional assistance. When the code is successfully entered, we'll present you with a Recovery code. Write down the code and store it in a safe place. Do not skip this step. 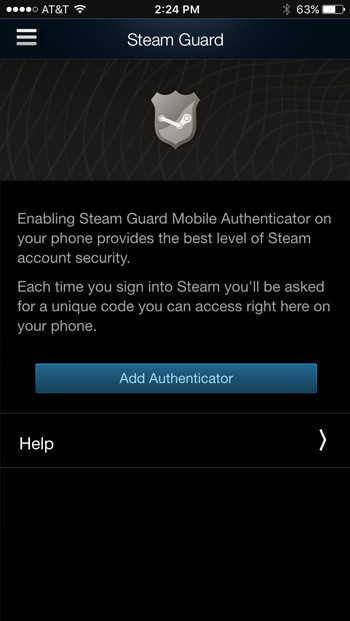 When the mobile authenticator is successfully enabled, you'll be presented with a unique Steam Guard code that will periodically refresh. When you log in to Steam you'll be asked to enter the code. 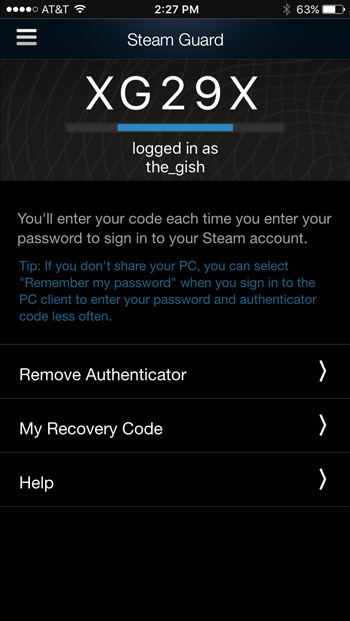 If you're having trouble logging in with the Steam mobile authenticator, please use our help site (help.steampowered.com) to recover your account.